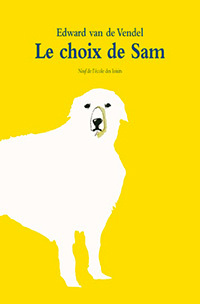 My book TOEN KWAM SAM now came out in France. The French translation, for the publishing house of L'école des loisirs, was made by Maurice Lomré. This is the fifteenth edition of the book, after the original one (Querido, Amsterdam), the eleven editions in South-Africa, and the ones in Estonia (Päike ja Pilv) and Germany (Carlsen). All the editions also show the beautiful illustrations, made by Philip Hopman. Later this year the American edition will be issued (Eerdmans). A big thank you to all publishers!